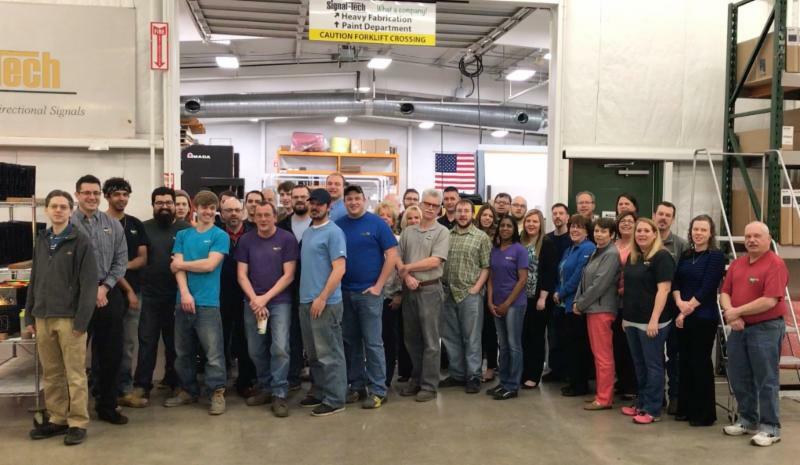 MultiCam East has been a MultiCam CNC technology center for over 20 years. 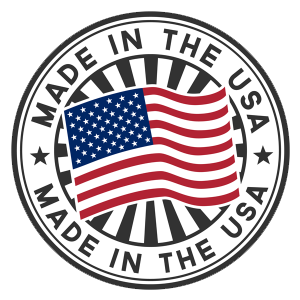 MultiCam machines are manufactured and assembled in Dallas, TX at their 120,000 square foot facility! ﻿Through our offices in Baltimore, MD, Hackensack, NJ and Newmarket, NH, we cover Virginia to Maine for MultiCam. We provide local sales, service, tooling, software, and training! Let us help you with your CNC needs! Please explain a little about what your business does. "Signal-Tech sells, markets, and manufactures LED signs for various industries. All of our signs are produced and assembled in house using state of the art equipment." "Signal-Tech has roots back to 1928 when the father of our present day owner started Howard Neon Signs. Signal-Tech itself was founded in 1999 in order to focus on illuminated traffic control signs and signals." Please explain how you found MultiCam. 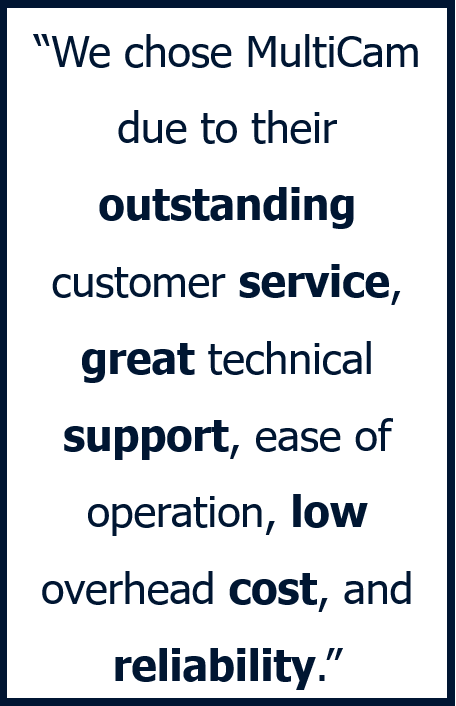 "Our sister company, Howard Industries in Erie, PA, has one and recommended it to us. Our old Advantage AR600 was at the end of its life and behind on technology and programming." What type of MultiCam machine(s) do you currently own and how many hours a day does it run? "We purchased our MultiCam 3000 Series in November, 2013. We have an 8 position linear automatic tool changer, dust collector and dual vacuum motors for holding work and fixtures down. We run the machine on average 40-50 hours per week." What processes in your production cycle do you use your MultiCam? "We use our MultiCam to produce parts for final assembly of our signs. 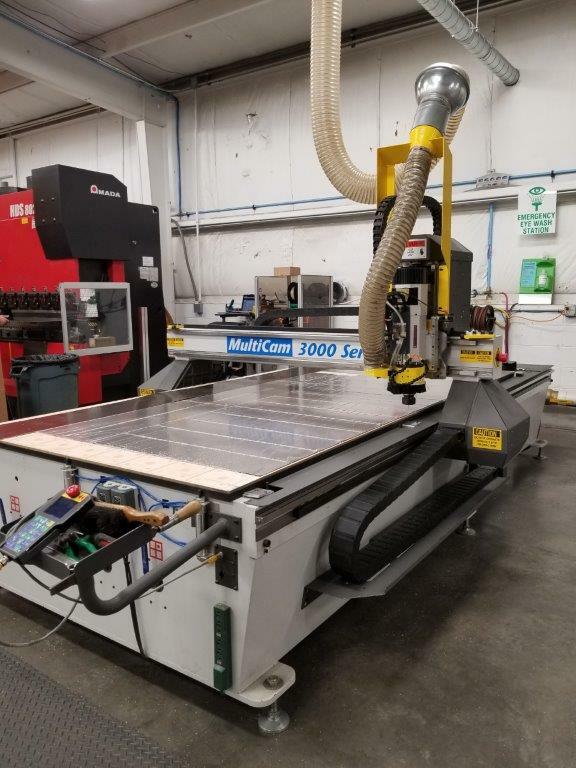 We currently cut polycarbonate and acrylic plex for our faces, routed aluminum panels for backs and faces, route holes in our extruded aluminum and wood for shipping containers. We also route Christmas ornaments each year from our scrap aluminum material to give out to employees and friends." "The MultiCam router has improved our workflow due to its ease of use and versatility. It is easy to program as it interfaces with the graphics software we already were using. It is versatile enough to cut all of our materials (aluminum, extrusions, polycarbonate & acrylic). Best of all, the operator can get a job started and then perform other tasks while the router works its magic." 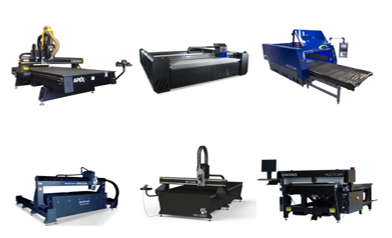 Are there any reasons why you chose a MultiCam machine over a different CNC provider? "We chose MultiCam due to their outstanding customer service, great technical support, ease of operation, low overhead cost and reliability." Was it easy to learn how to run a MultiCam machine? "After purchasing the machine, we sent employees to an official three day MultiCam programming class. Since that time we are able to cross train various employees typically within a couple days and they are capable of running the router by themselves." Has the MultiCam machine been a reliable addition to your operation? "The MultiCam machine is very reliable. I believe we have had less than 16 hours total down time in over five years." How has your service and support been from MultiCam East? "Everything from part ordering to working with MultiCam’s two Peters, both on site and over the phone, has been stress free and timely." Would you recommend a MultiCam machine to someone else? ﻿Produce super clean, smooth cuts in plastics. Made according to strict tolerances from an exclusive carbide grade polished to a mirror finish using a unique process. Design to eject chips up. Ideal for industrial applications. Contact Us Today to speak with us about the tooling that we offer! 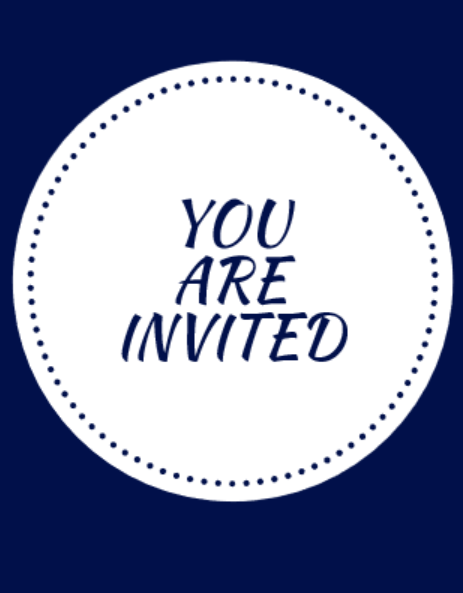 Mention the word "Newsletter" and receive 10% off your order!! 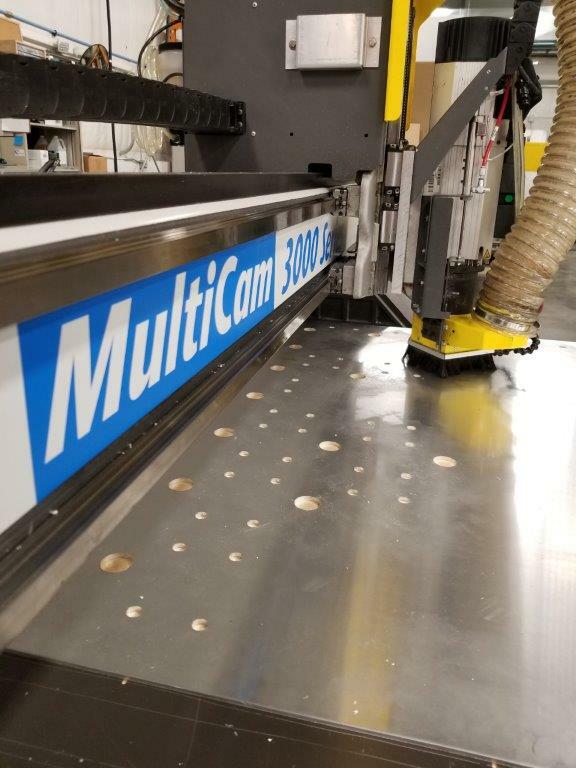 Come see MultiCam East at Eastec in West Springfield, MA from May 14-16! 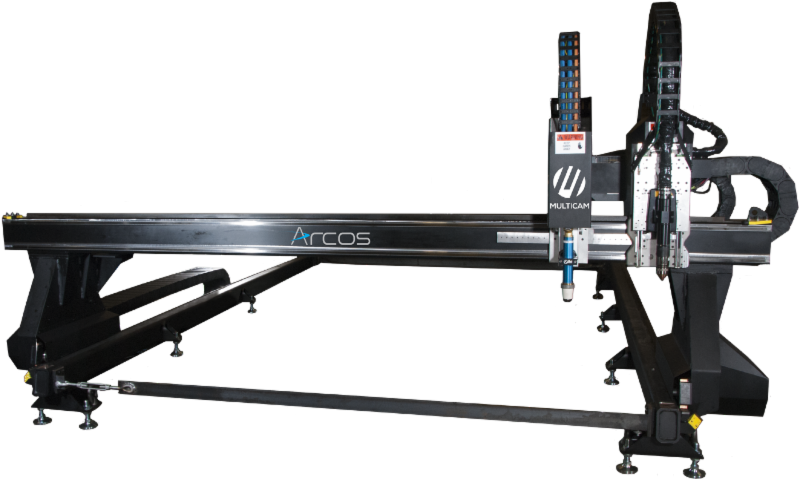 We were recently honored to be featured in the February issue of Modern Metals that talks about our Arcos Plasma. MultiCam East is a supplier of innovative CNC cutting solutions for industries ranging from sign making to digital finishing, sheet- metal to plate-steel processing, hardwoods to cabinet making, thermoform trimming to plastics fabrication, as well as a wide variety of aerospace and automotive applications.